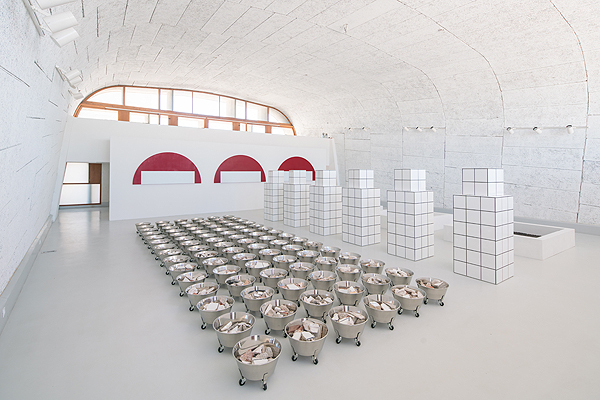 Jean-Pierre Raynaud is the fifth artist to be invited by the MAMO (Marseille Modulor) after Xavier Veilhan, Daniel Buren, Dan Graham and Felice Varini. 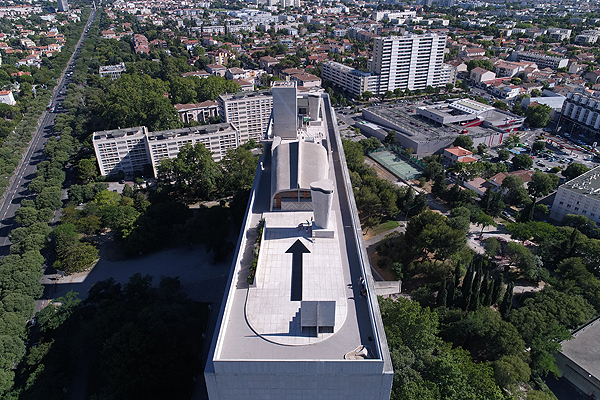 The fifth singular point of view given to the Cité Radieuse of Le Corbusier, its terrace and gymnasium having been redeveloped by Ora Ito into an art centre. « With the support of Longchamp, the MAMO continues its annual exhibitions, inviting world-renowned artists, able to master imposing spaces and to measure themselves to this unique and extra-ordinary place. Jean-Pierre Raynaud has been essential in my awakening to Art. 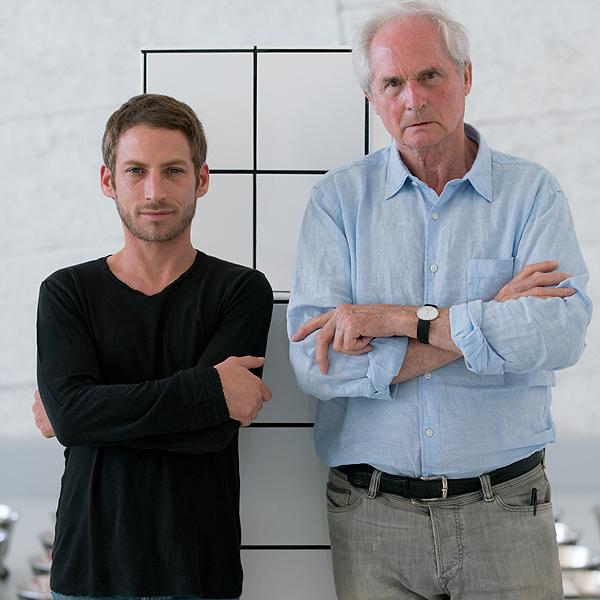 His house of course, his stature and the whole of his oeuvre have shaped my artistic culture. » Says Ora Ito. « I don’t feel as though I am in competition with other artists, I feel like a guest of the MAMO. Invited by Le Corbusier to whom I must address a response, as free as the man himself. The point of interest here is not in the exhibition of art-works, but in an encounter with the architecture, especially with the listed terrace where restrictions apply.» describes Jean-Pierre Raynaud, returning from the art market and its excess to the pleasure of pure creation. For the MAMO, the French artist has conceived a single gesture, a single piece. 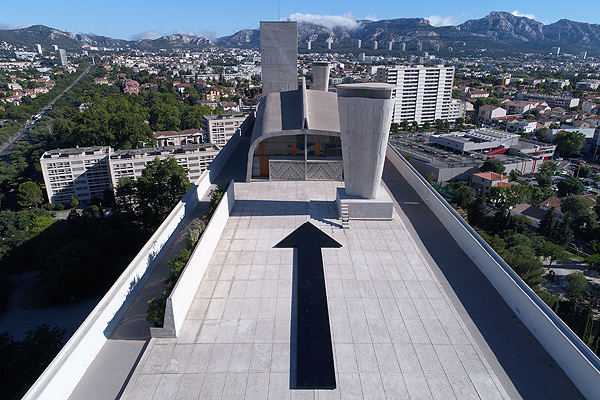 A monumental 17m arrow, placed horizontally upon the terrace, pointing towards the gymnasium « I have made an exhibition for the birds, not for people. 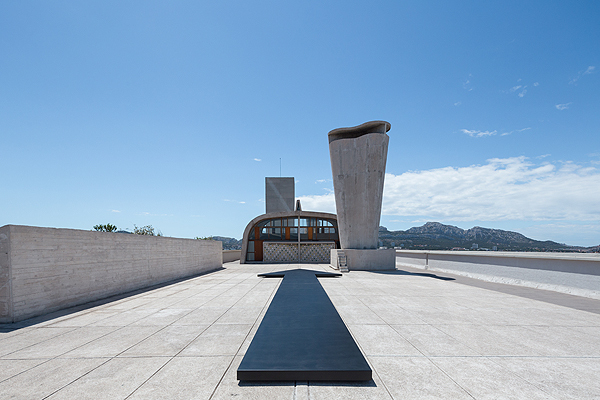 This rooftop terrace reminds me of an aircraft carrier, a landing strip for flying saucers, I wish to see it from above. The arrow, black like a shadow, will point to the MAMO, containing my treasures, a series of works fundamental to the history of my career. The arrow says « its here » this is where its happening but its also saying « its me », as an acceptable form of vanity, as a from of ambition and not pretension. I lay a sign upon the architecture to confront it to my personal scale ». This intervention is inspired by his formal research with No Limit in Belgium, a steel arrow 18m in length placed upon its tip, a gesture questioning our ability to reach beyond reality with our dreams. 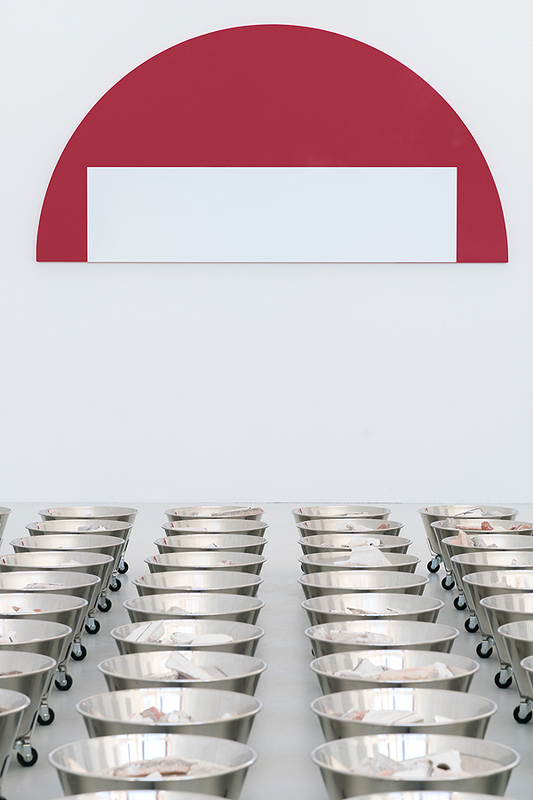 MAMO will exhibit a retrospective of Jean-Pierre Raynaud’s work, amongst which a series of self-portraits, 100 containers of household waste, 3 Cuves (1968), 3 Sens Interdits and the projection of La Maison de Jean-Pierre Raynaud, a film by Michelle Porte, (31 min / 1993).